That’s very low profit for all of the risk and time you’d have to assume. Employee lawsuits, accidents, surging fuel costs, customer lawsuits, etc - all for a narrow profit margin. I’m sure people will be tripping over themselves to do this. Can I use my own fleet of drones? Isn’t that the model FedEx uses in rural areas? When they FEEL like it, they will “award” you with delivery jobs. When you tell them you aren’t getting enough work, they will make you a “Preferred Provider”, and you won’t get any more work than before. And not only that can you imagine how much fun it is to manage 40 employees who get no employee benefits? I mean at $250 a month profit per employee for the small business owner, it’s impossible that they can provide benefits. Well unless they want to run the business as a non-profit. Did an official Amazon employee make that statement or just some reporter chumming for drama. What I seen made no mention of the terms. 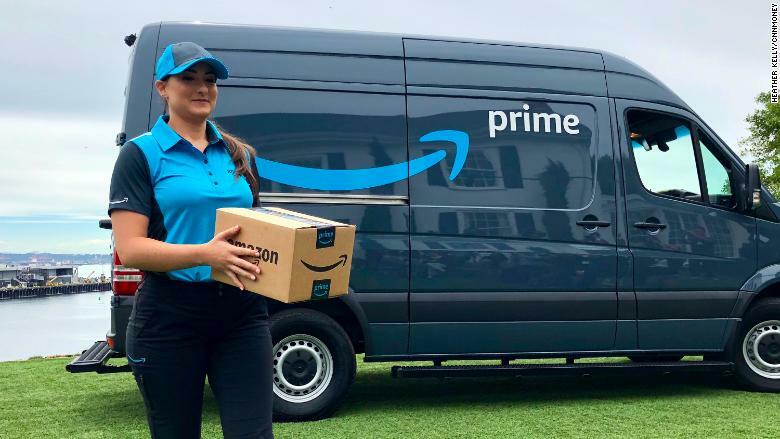 The business owners will be able to make as much as $300,000 a year in profit running a full-sized fleet of 40 vans and managing 100 employees, according to Amazon. They’ll be plugged into Amazon’s software, which will determine where the drivers go. If you read the article, you can find the link that gives you the information. I did, another source that I consider a little more credible stated the specifics have not been released yet. Did you click on the link from Amazon Logistics? All the details known are in that link. You can also sign up for additional information. Are you saying that you found a source more credible than Amazon regarding press releases from Amazon? No I did not, thank you for sharing that. From Amazon’s site they state that 20-40 vehicles will yield $1M-4.5M REVENUE and $75K-300K PROFIT. They don’t explain or give examples of how they got these numbers and that these numbers are are projections only. I’m not even sure if this factors in a salary for you as the owner. If it’s anything like what our Fed Ex independents do, it’s not very much. I meant it regarding news sources, I initially read it on Fox then CNN. I don’t believe very much of anything posted unless its directly cited as coming from the source. You said you read the article and clicked the link for the source. The only link was from Amazon Logistics. I just found the link from logistics Amazon. Their was a link on here today from CNN, it might have been in another thread about this. Total Return on Investment = Jackpot . I’m in . I bet they already have more applicants than they could ever imagine. Gee, who pays the vehicle repair bills?? We have / had pick ups, mid size trucks and semi tractor / trailer, all I can say is OUCH!